As a wee appetiser before our pal's 50th birthday a few of us headed down to St Mirren Park to watch our under 21's play Belarus on a cold October afternoon. There wasn't much going on in the game to heat us up except a few hefty tackles which came mainly from the Belarus team who also constantly faked injury and time wasted even in the first half!! It's something that really depresses me about football today, you get all these fit young lads who fall over at the slightest touch and then roll about in agony for thirty seconds and get up and take the resulting foul, I wonder what guys like John Greig and Billy McNeil would have made of that in their day!! Anyway, Scotland got the late goal that I thought their efforts deserved but in saying that, on watching this display I think if this is the best Scotland has to offer our future in the international wilderness looks set to continue well into the future!! Still I enjoyed the pie and Bovril!! 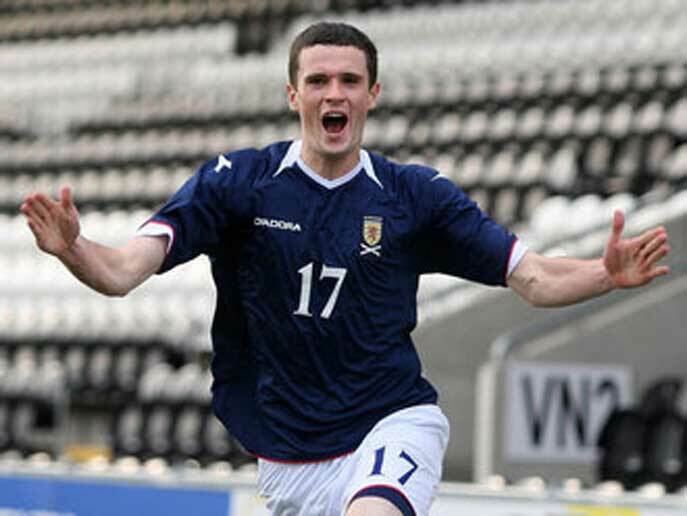 A dramatic injury-time winner by Jamie Murphy gave Scotland Under-21s victory against their Belarus counterparts in their European Championship qualifier at St Mirren Park. 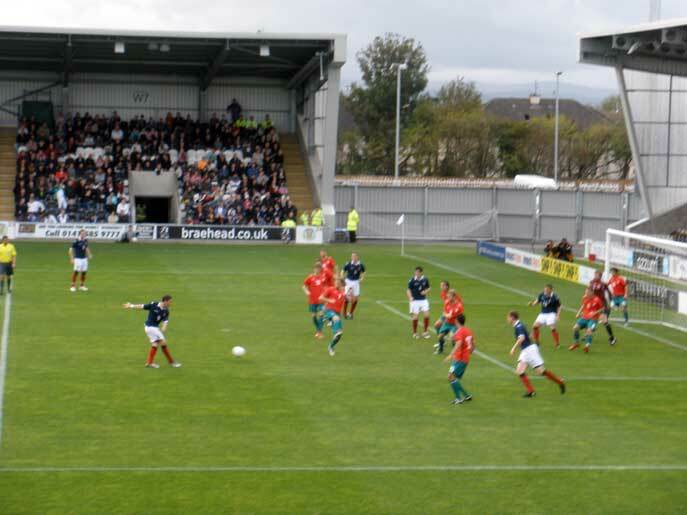 In the second minute of added time, the Motherwell striker, on for David Gray, took a Paul Caddis pass, burrowed his way in to the Belarus box and drove in from a tight angle for the three points. Scotland now have nine points in Group 10 - the same number as Austria - but they are second on an inferior head-to-head record. It was a deserved win for the home side although they huffed and puffed for most of the game and missed a sitter through Kevin McDonald before the break which almost proved costly. Billy Stark's side took some time to settle on a fiery pitch and it took 10 minutes before striker Chris Maguire fired in a drive from distance that went wide, before having a similar effort fly over the bar eight minutes later. Belarus hit-man Maksim Skavysh responded with a 25-yard effort which was deflected for a corner, which came to nothing. Scotland raced up the other end and striker David Goodwillie got off a shot from just inside the box which, in keeping with the previous efforts in the game, went over. 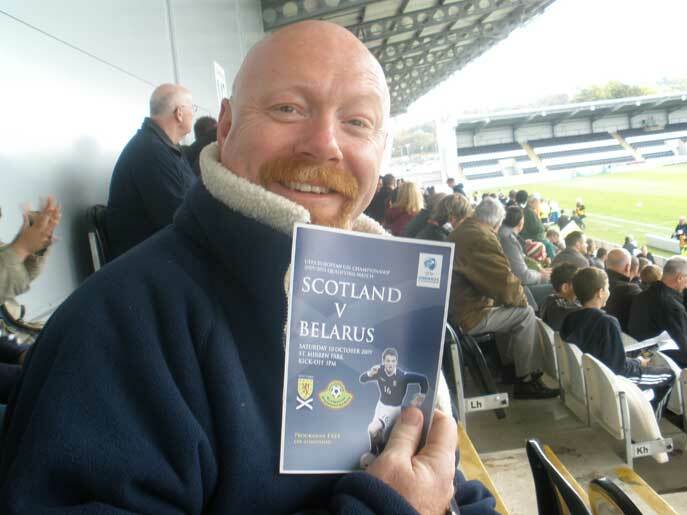 In the 25th minute, a well-worked free-kick down the right between Barry Bannan and Caddis saw the Scotland skipper cross to the back post where McDonald's header was deflected off a Belarus defender before the visiting keeper Illia Haurylau readjusted to make a decent save. Eight minutes later, with nothing much of note happening at either end, the Belarus keeper made another fine stop from Macguire's free-kick, after Bannan, the home side's best player, had been forced to the ground by a clutch of visiting defenders. Scotland slowly increased the pressure but McDonald missed a sitter in the 39th minute when he headed a Maguire cross wide of the target despite being unmarked and only six yards out. Stark's side began the second half on the front foot but there was no sign that the breakthrough was coming. A series of stoppages for fouls did little to keep the game flowing although the Scots failed to take advantage of several early corners. As the second half continued, Belarus seemed content to hold on to the point and the home side appeared to be running out of ideas, a depressing combination for the 4017 crowd. In the 68th minute, Scotland substitute Murphy, on moments earlier for Gray, was sent through by Bannon but his angled shot from 18 yards was too weak to unduly bother Haurylau. It was all-too typical of the impotency shown by both sides in front of goal. 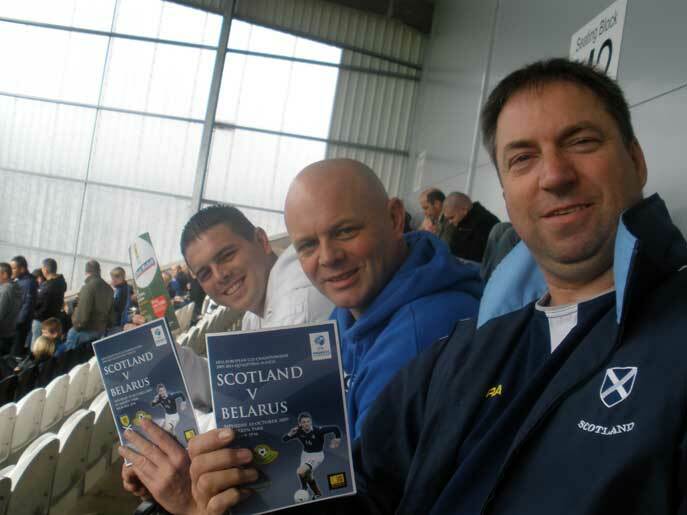 The game stretched in the final 10 minutes which created more room at both ends although in the 82nd minute the Belarus penalty area was packed when Scotland debutant Ross Perry headed a Bannon corner wide of the target from 10 yards. Then, moments later, from another Bannon corner, this time from the left, Haurylau made another fine save at his right-hand post from Macguire's goal-bound header. 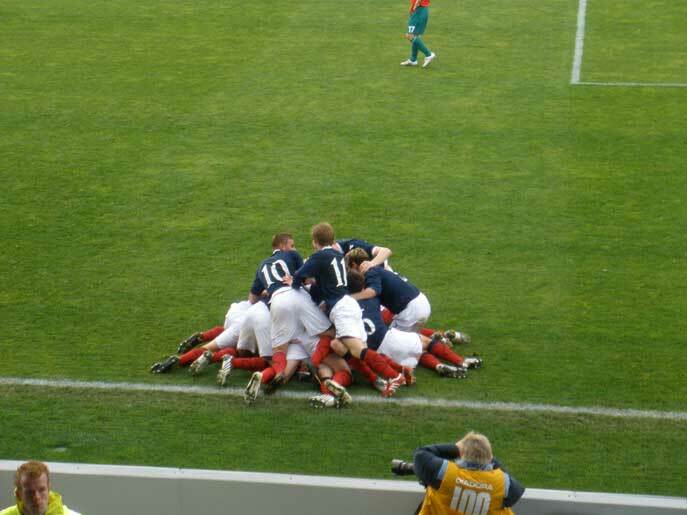 But in the second minute of four minutes of injury time, Murphy finished off a flowing move when he reached the bye-line before slamming in an angled drive just inside the post to give the Scots a dramatic last-gasp win. 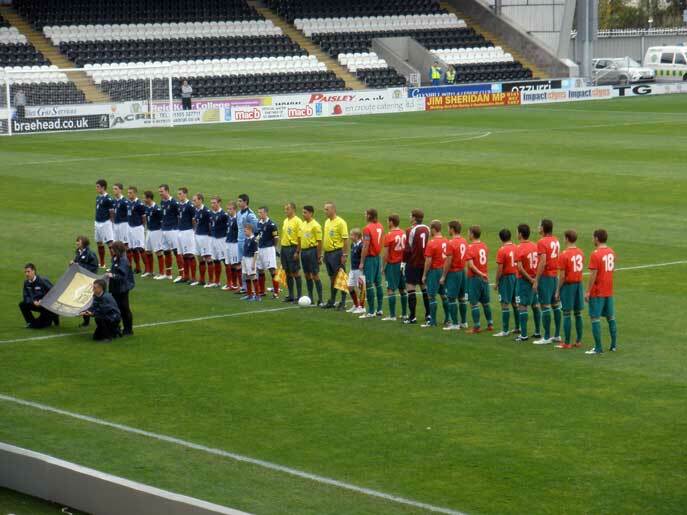 Scotland U21: Martin, Caddis, Mitchell, Perry, Hanlon, McGinn, Gray (Murphy 67), McDonald, Maguire, Goodwillie (Loy 90), Bannan. Subs Not Used: Gallacher, Easton, Wotherspoon, Fleck, Forbes. Booked: Maguire, Goodwillie, McGinn, Gray. Belarus U21: Gavrilov, Matveichik, Sivakov, Bukatkin (Politevich 85), Skavysh, Yurchenko (Ostroukh 72), Nekhaychik, Rekish (Voronkov 65), Karpovich, Veretilo, Filipenko. Subs Not Used: Hutar, Ryzhko, Rakhmanov, Kolotsei.